One of America’s greatest treasures is its vast network of 417 national parks, monuments, battlefields, historic sites, preserves and conservation areas — with more than 84 million acres of protected lands throughout the US and its territories, adventure and discovery are never too far away. And, as if you really needed another reason to visit, the National Parks Service (NPS) is offering free admission on certain days in 2017, including the weekends of April 15-16 and 22-23 in honor of National Park Week, August 25 (to celebrate the National Park Service’s birthday), September 30 for National Public Lands Day and Veterans Day weekend on November 11-12 — you could have also gotten in free on Martin Luther King, Jr. Day (January 16) and Presidents’ Day (February 20). Admission fees normally vary from park to park, with some of the most popular charging as high as $30 per car — we’re looking at you, Grand Canyon National Park. Note that the free entrance days only get you into these participating parks and monuments and do not apply to additional charges for activities like camping, concessions or third-party tours. If you are planning a trip, consider staying at points hotels located just outside some of the most-visited national parks in the country. 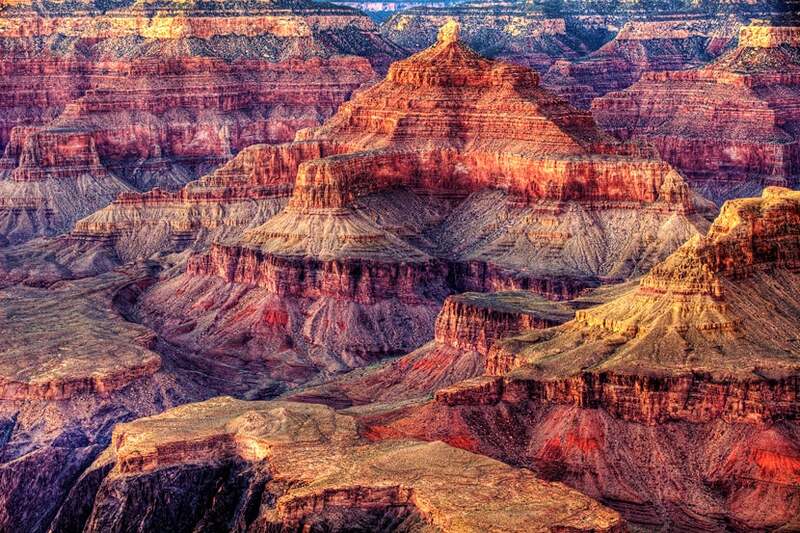 These Grand Canyon colors can be all yours — for free. Image courtesy of Shahriar Erfanian, 41 Stories Photography via Getty Images. In addition to the free days listed above, NPS offers complimentary admission to current US military members and their dependents, as well as US citizens or permanent residents with permanent disabilities. Volunteers who log at least 250 hours with federal agencies also get in free, as do fourth grade students, who can score a free annual pass as a part of the Every Kid in a Park program. Seniors over the age of 62 who are US citizens or permanent residents are also eligible to purchase a $10 Lifetime Pass, which provides additional discounts on camping, swimming and other park-related services. If you’re willing to venture a little farther north, Canada is also letting folks visit its own national parks for free this year when you sign up for a free Discovery Pass. Featured image of Badlands National Park courtesy of Andrew Nay / EyeEm via Getty Images.